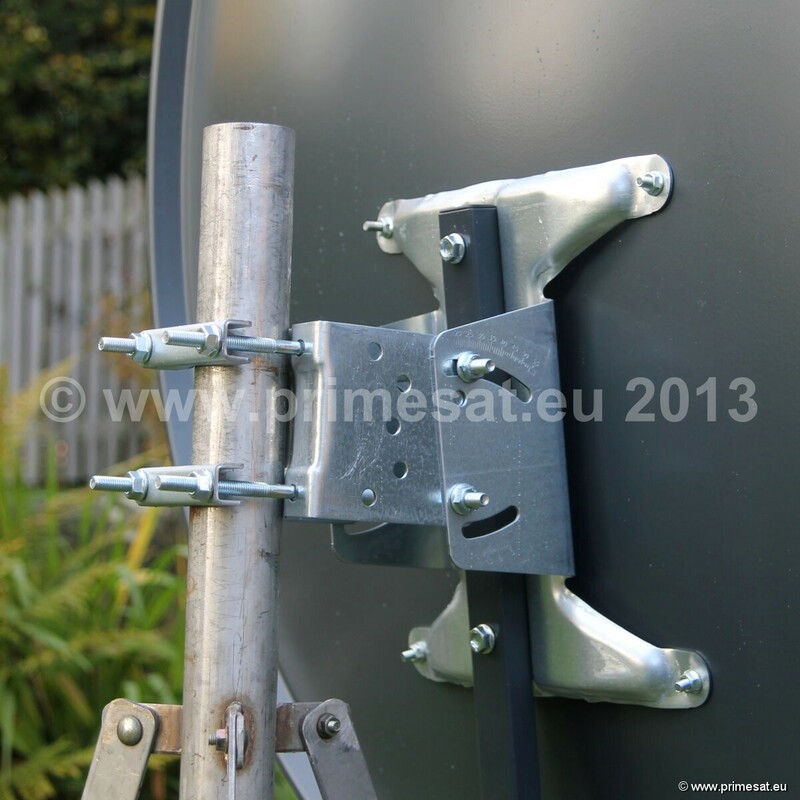 Primesat aluminium 1.0m, 1.1m and 1.3m satellite dish. 110cm. 100cm 130cm aluminium satellite dish. Low cost high gain 1.1m 1.0m 1.3m satellite dish. Please note - The 1.0m and 1.1m Primesat offset dishes look almost identical. The back plate and hardware are all the same. The differences are, the 1.1m refector is a little larger than the 1.0m reflector, the LNB boom arm on the 1.1m is a little longer. We only sell the 1.0m in dark grey and the 1.1m in light grey. 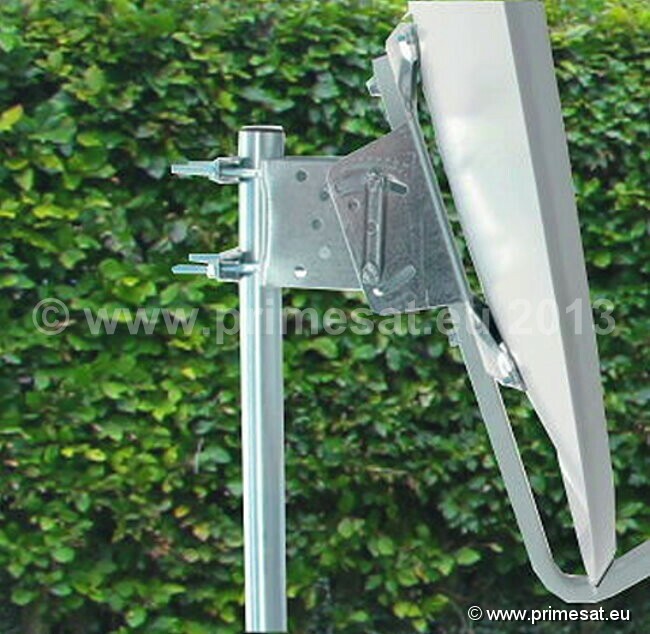 Primesat AL100FIX 1.0m aluminium satellite dish. High Quality. High Gain. ALUMINIUM easy adjust.This aluminium dish has a total weight of only 6.1Kg. (A steel 1.0m weighs 9Kg.) The gain is a massive 40.3dB at 12.75GHhz andthe finish is Polyester RAL7035 powder coating. 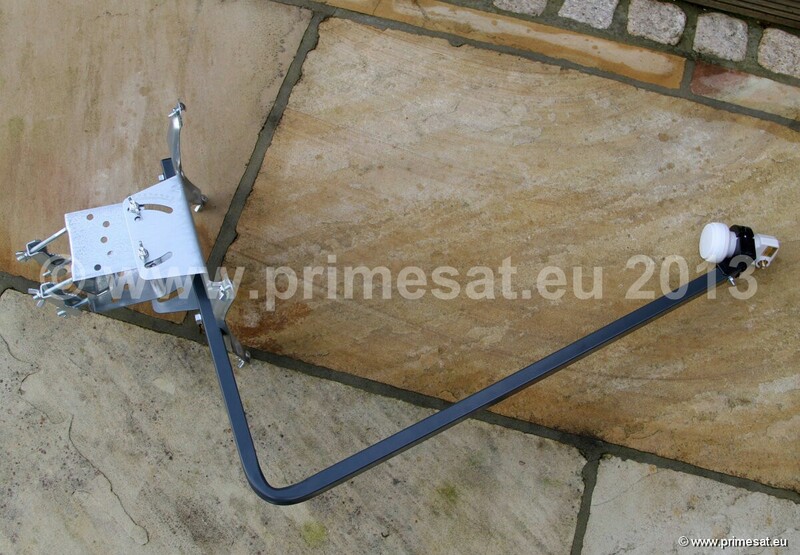 This Primesat 1.0m dish is ideal for many satellites when used in the UK.The easy adjust AZEL mount on the back of the dish (where elevation is adjusted) is galvanised. It will clamp to polesfrom 35mm to 60mm diameter. colour - Dark grey (almost black). Mast Clamp For - 35-60 mm diameter poles. AZEL mount - easy adjust. 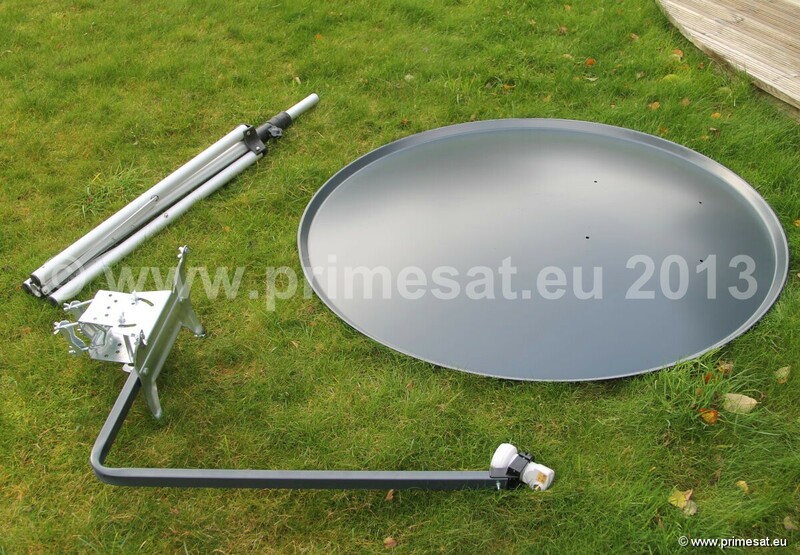 Primesat AL110FIX 1.1m aluminium satellite dish. 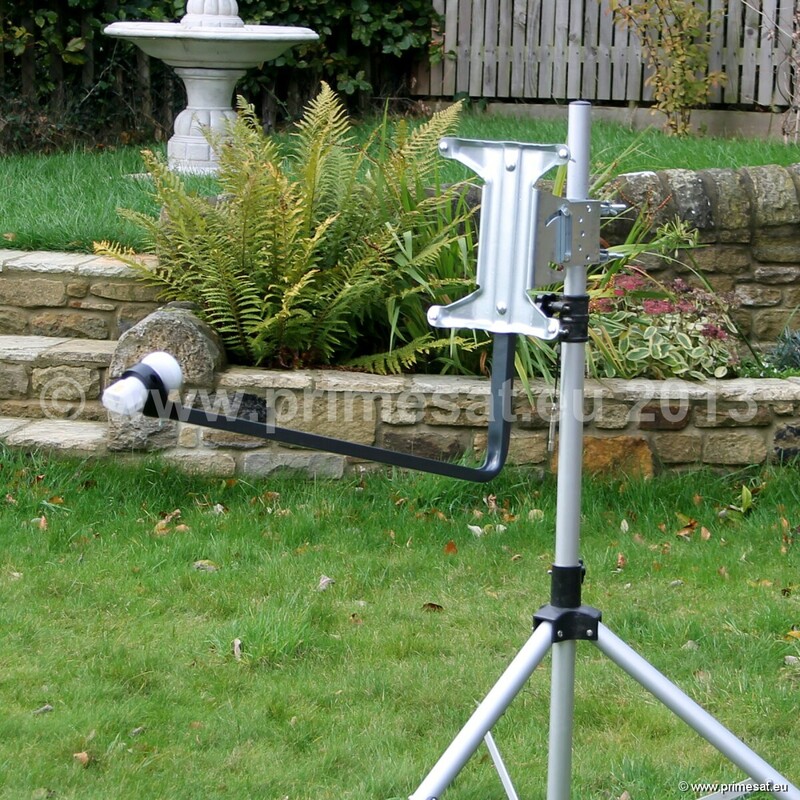 At last a high quality, high gain, ALUMINIUM easy adjust 1.1m offset dish at a very reasonable price. Why buy steel dishes when you can buy aluminium at a similar price? 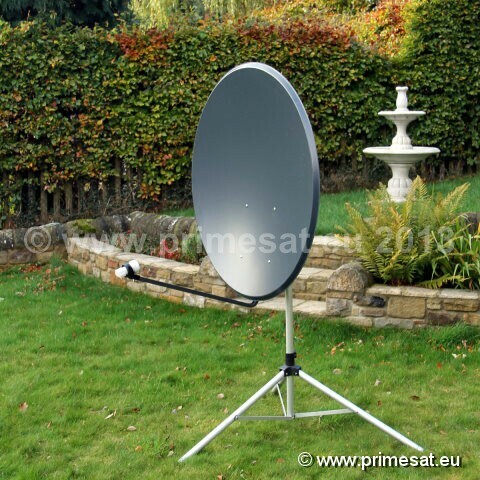 This 1.1m dish is ideal for many satellites when used in the UK. Extensive testing shows this dish to work very well for the Sky or freesat channelsfrom Astra 2 when used by customers in the south of France where signal levels are weak. 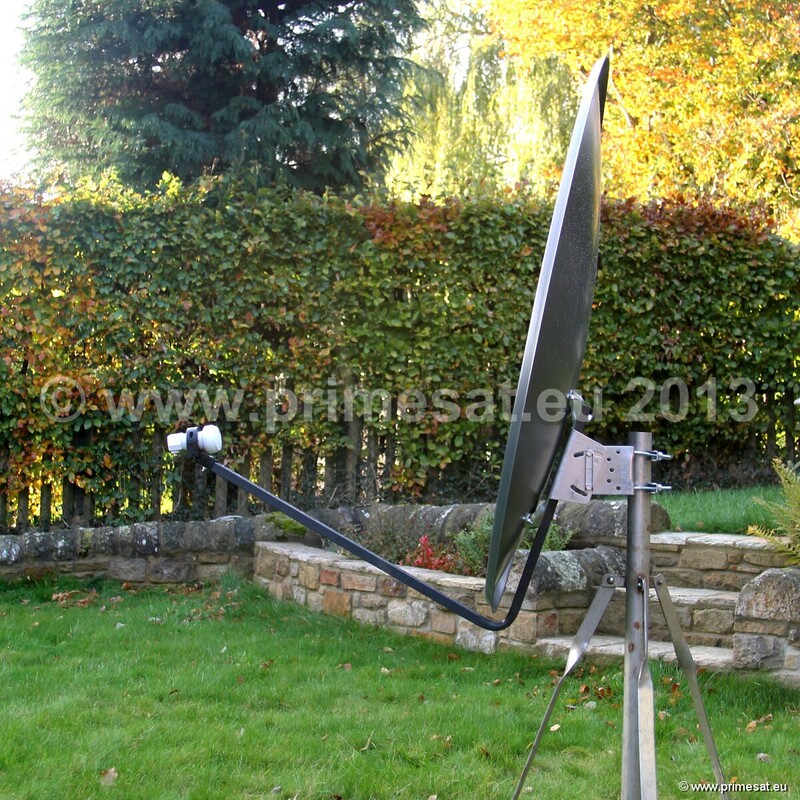 Primesat AL130FIX 1.3m aluminium satellite dish. This is a high quality, high gain, ALUMINIUM easy adjust 1.3m offset dish at a very reasonable price. Only available in light grey. This 1.3m dish is ideal for many satellites when used in the UK. Extensive testing shows this dish to work very well for the Sky or freesat channels from Astra 2 when tested by customers in the south of France where signal levels are weak. If you draw a line between Bordeaux and Lyon, above that line a 60-85cm dish will be fine for all of the UK channels from Astra 2 at 28E, however, below that line a larger dish is needed. If a 60-85cm dish is used below that line, a percentage of channels can still be received but the weaker channels like the BBC and ITV need a 1.3m dish in the south of France. The 1.3m is also ideal for many other countries including Spain.